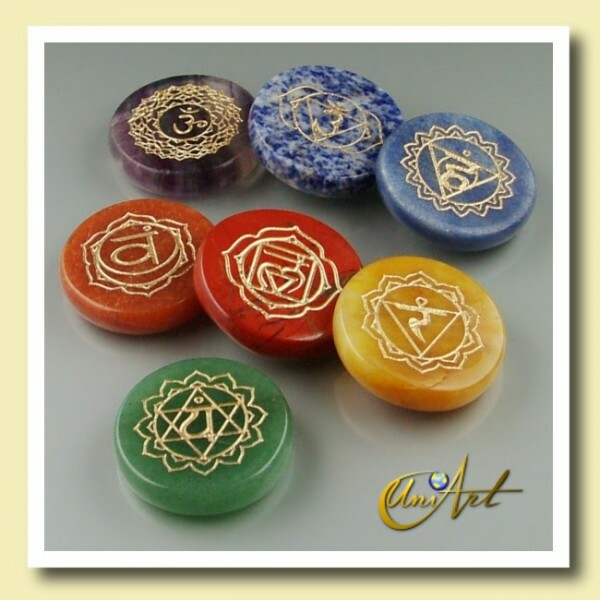 > Chakras>Kit with 7 engraved flat stones for chakra balancing. "Perfecto y rápido ! - muchas garcias ! 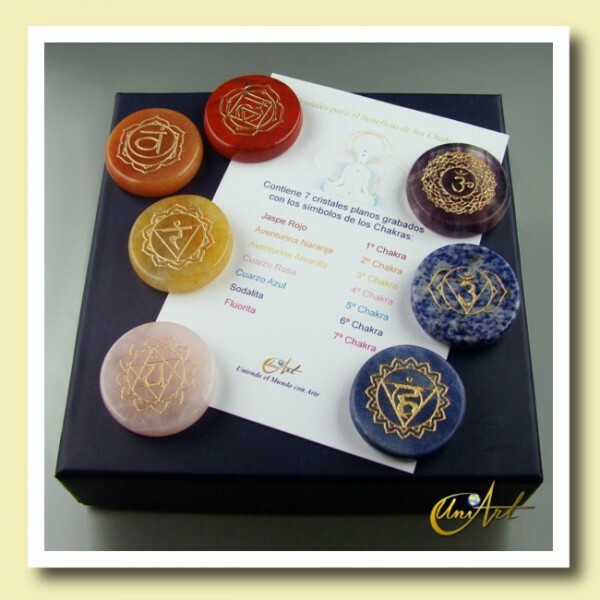 Hasta el próximo pedido que..."
Kit with 7 engraved flat stones for chakra balancing. price: (Retail)	39,20 € tax incl. 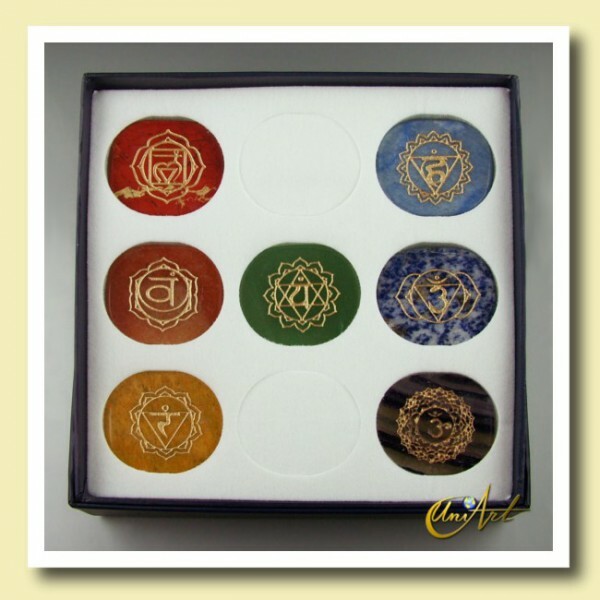 Kit with 7 engraved stones for the balance of the 7 main chakras. 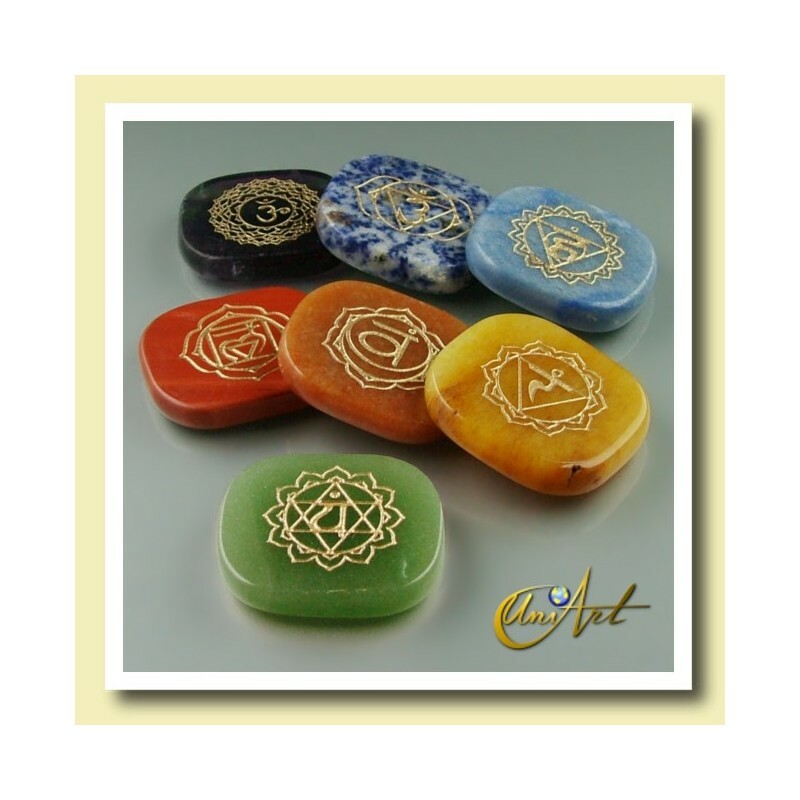 This kit presents the most suitable seven stones for balancing the Chakras. 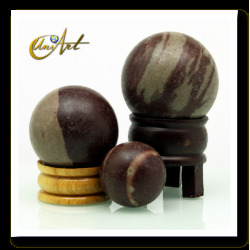 Model 1: Round stones of 4 cm diameter and 0.8 cm thick, each weighing 25 g. approx. each one. Model 2: Semi rectangular stones of 4.6 cm x 4.0 cm x 0.8 cm, weighing 30 g. approx. each one. The kit includes an explanatory booklet and comes in a heavy cardboard case with foam inside to condition the stones in it. · Fluorite - 7º Chakra. · Sodalite - 6º Chakra. · Blue Quartz - 5º Chakra. 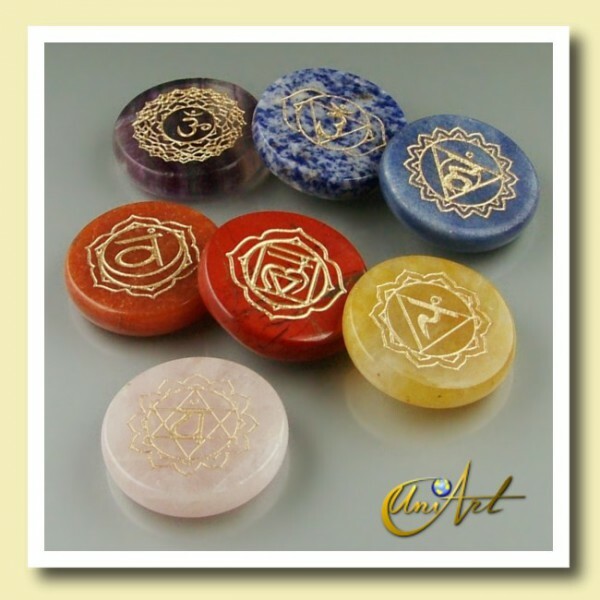 · Green Quartz or Rose Quartz- 4º Chakra. 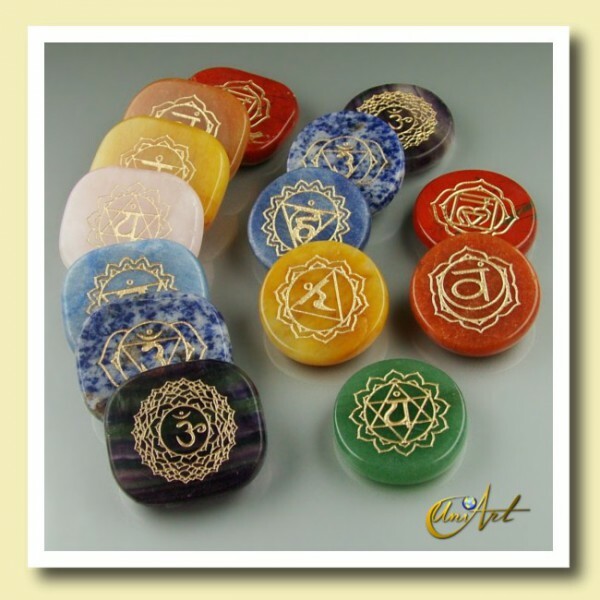 ·Yellow Aventurine - 3º ChaKra. 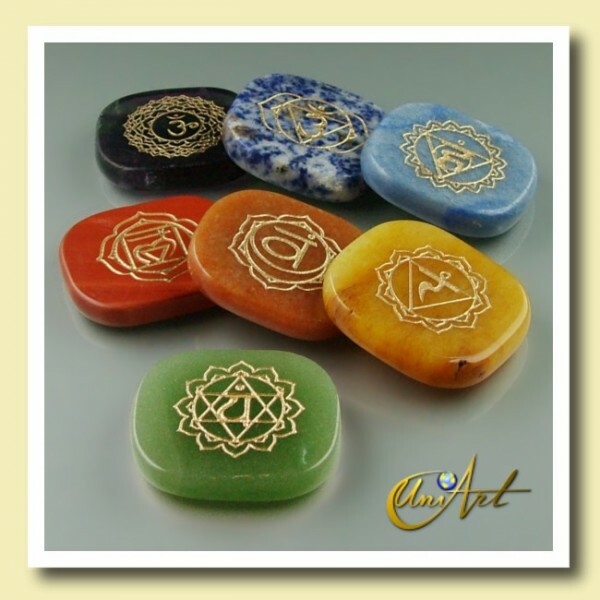 · Aventurine Orange - 2º Chakra. · Red Jasper - 1º Chakra.